Take a deep breath as you delve deeply into your soul’s purpose. This is the New Moon in Pisces. Surrendering to the siren call of Pisces can feel like bargaining for your soul. Why is the call to let go, to believe that you will have all you need, all you were born for so powerfully tempting? Because deep down, inside, at your very core, you know without a doubt that the words of the siren’s song are true. You’ve known it since you were a child. It was your song. But. . .when you were a child, you remembered things. You knew things. Would you be sent on this journey with false hope based on lies, and dreams that couldn’t be fulfilled? Did we arrive haphazardly into this earthly existence, or did we partake of this mortal coil knowing what we were supposed to do, the right path to follow, the means to our earthly and heavenly rewards? When everyday troubles get the best of us, when the burdens of flesh defeat us, when we’re lonely, feel unloved, hopeless, or alone. When we just can’t think of a purpose anymore, when we’ve forgotten who we are. When we feel like we’re drowning. 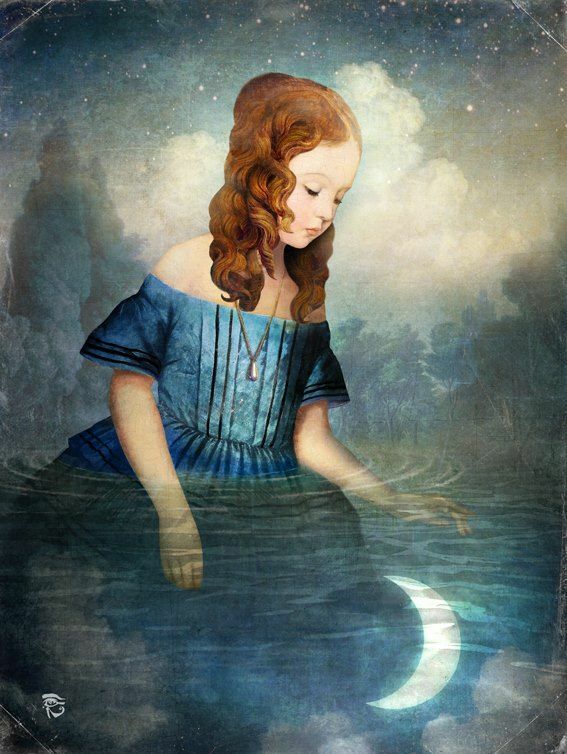 The New Moon in Pisces is the last New Moon of the celestial year, which begins with the Spring Equinox. It ushers in a new year and closes the circle on the twelve Moons that came before. It signals a time of review for the hopes and dreams you had for last year and allows you to open to the spirit of all your dreams yet to come. Sit for a few minutes with your New Moon intentions as you listen to this relaxing New Moon meditation music. Hold your intentions in your heart. This is your source. See your wishes sprouting into new life and growing as the New Moon eases into brightness. Surround yourself with the healing colors of the ocean and imagine that you are one with your dream and it is with you.